Ductless Mini Split System Service in Boynton Beach, FL | Astro Air Inc. When you’re thinking about revamping your home heating and air conditioning system, ductless split systems are a good option to consider. Particularly if this is the first time you’re investing in a full home system, ductless systems can help make the installation process much quicker and painless. Here at Astro Air Inc., we’ve been installing these types of systems for our Boynton Beach area customers for quite some time. We can easily help you evaluate your options in order to determine which system is right for you. Ductless split home heating and cooling systems are made up of two types of components. There is an outdoor compressor that supplies the indoor units with coolant. The indoor units, in turn, take in air from the room, cool it, and then return it to circulation. There are quite a few benefits of opting for ductless split air conditioning and heating systems compared to their ducted alternatives. The details of your home and its layout will have a lot to do with determining the type of system you will benefit most from. And your particular home temperature control priorities will play a role as well. One of the first benefits of ductless split systems that people notice is that they are quite energy efficient when compared with some of the other options out there. These systems are designed to make the most of a little in every way, and energy usage is certainly one of them. No matter what size system you wind up with, you’ll be quite happy with the impact it has on your monthly energy bills. These ductless split heating and cooling systems are also compact and easy to install. Their original purpose was to provide superior climate control to buildings and homes that couldn’t accommodate the system of ducts that more traditional ducted systems require. Both the outdoor and indoor parts of ductless split systems boast a slim profile and require minimal adjustments to install. Putting a duct system into your home can be a lengthy and invasive procedure, and something you simply may not have room for. The installation of a ductless system, on the other hand, is quick and relatively painless. The only connection between outdoor and indoor units needed is a small channel for running refrigerant lines, which is a far cry from an entire duct system. Many central air and heating systems that utilize ducts offer you very little control over which areas of your home are heated or cooled at a particular time. For instance, during the day, you probably don’t need to keep your bedroom temperature controlled, and at night you don’t need to keep the rest of the house at a particular temperature. With ductless split systems, you have much more control over which rooms are being heated or cooled at any given time. Individual thermostats on each unit allow you to set the temperature for that room only rather than expending the energy to heat or cool your entire house all the time. Because of their slim design and versatile nature, ductless split systems can be installed virtually anywhere in your home. You can select from a variety of sizes and models too, so it’s easy to tailor your system to meet your specific heating and cooling needs. Here at Astro Air Inc., our West Palm Beach area HVAC technicians have extensive experience installing these types of heating and cooling systems. We’ll be happy to discuss the benefits of the various models with you and help you decide which system is right for you. And our commitment to our customers doesn’t end with installation. We also offer full repair and maintenance services for your ductless split systems so you can be sure your system will continue to work well for you for years to come. Find more tips and tricks on ductless mini split systems here, or give us a call to schedule a service appointment today! Ductless split systems are among the most energy efficient and cost effective solutions to your cooling needs on the market. When combined with a heat pump, they can even heat your home. That’s why so many people are switching to these systems instead of traditional window units or central air. But it’s important to consult with an HVAC specialist to discuss your options first to learn whether or not a ductless system is a viable solution for your home. Astro Air Inc. is a Boynton Beach area leader in mini split air conditioning and heating installation and we’re always happy to discuss this great technology with new customers. If you’re interested in learning more about using a ductless system to control the temperature inside your home or if you’d already like to setup a time for us to take a look, call us today. Because there is no ductwork involved, mini split systems are perfect for homes that have limited space and cannot have ductwork installed. It’s a natural upgrade for a home that has long used window units for cooling. Heating your home with a ductless system is easy too, because connecting a heat pump is a minimally invasive job as well. If you’re interested in learning more about what mini split air conditioning and heating has to offer and whether it is the right solution for your home, call Astro Air Inc. today. Our trained technicians are on call to discuss your cooling or heating needs right now, so contact us now if you live in the West Palm Beach area. If you have a ductless mini split air conditioning system installed in your home, you already know that they provide unprecedented energy efficiency, multi–room zone cooling and supplemental heat in the fall and spring. So, when your system starts to show signs of its age or simply stops working properly, you’ll want to replace it fast so you aren’t without the ability to control temperatures in your home for any extended period of time. Ductless mini split technology has changed substantially in recent years, so there are many more options on the market, making it harder for the average homeowner to know for sure which product is best for their home. That’s why you want to call the experts at Astro Air Inc.. Our trained technicians have years of experience working with ductless split air conditioning systems and can assist you in selecting the perfect system for your Boynton Beach area home. Once you select your system, we will remove and dispose of the old one and have the new one installed quickly and efficiently. Call us today to learn more about our replacement services. The first step is to choose a replacement that fits the needs of your family. Modern mini split technology has advanced rapidly over the years, leading to units that are now even more energy efficient than ever before. Some models offer SEER ratings of up to 26 and almost all of them are Energy Star rated, providing a nice alternative to traditional heating and central air systems. But, which is best for you? First, make sure you select an outdoor compressor and condenser unit that has the capacity needed for as many indoor units as you need for your home. If you plan on adding new units to your array (e.g. upgrading from three rooms to six), make sure the new outdoor unit you select supports that many units. From there, you should select indoor units with enough BTUs to provide even cooling to the room in which they are installed. Like all cooling devices, they shouldn’t be too large or they will cycle on and off constantly and put unnecessary wear on the outdoor unit. In any event, selecting a new home comfort system isn’t something the average homeowner should attempt on their own, which is why our specialists are always here to help you review your options and select the best system for your home. 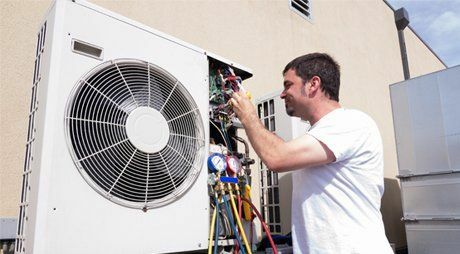 Once you select a unit to replace your current mini split system, you need a professional who can remove the old system and dispose of it properly, before installing your new mini split air conditioner. For professional ductless split replacement in the West Palm Beach area, the specialists at Astro Air Inc. can’t be beat. If the time has come to replace your old ductless system, give us a call today to discuss your options and setup an appointment. Ductless split air conditioners are among the most efficient and flexible air conditioning solutions on the market today. These systems allow you to cool multiple rooms – up to eight in some cases – with the same compressor and different indoor units. They can even provide efficient home heating when connected with a heat pump. But, because there are so many moving parts and the system is so spread out in your home, a problem is often hard to diagnose. That’s why, if you notice a problem with your mini split air conditioner, you shouldn’t delay in calling Astro Air Inc. to have someone visit and inspect the system. Our technicians have years of experience offering emergency ductless split system repairs in the Boynton Beach area, so you can be confident we’ll get any problem resolved quickly and correctly. If you’re calling us for repair, you’ve obviously already noticed some sort of problem. For the most part, a ductless system has many of the same parts as a traditional air conditioning system, like the outdoor compressor, so the more common problems are also the same. The compressor is one of the most important components of your AC because it compresses the refrigerant which will then remove the heat from each room in which there is a cooling unit, so it’s important to address any issues at the first sign of trouble. Problems can occur in the compressor unit – either in the fan or in any of the electrical components that keep it running. Clogs can also occur in condensate lines or the evaporator coils and your refrigerant lines need to be checked regularly to avoid damage. If you notice that your system is no longer cooling or heating a specific room of your home properly or that, when multiple units are turned on they don’t provide as much cooling as they should, there is probably a problem and you should have it inspected immediately. Another common concern we hear is elevated electricity bills. When your bill goes up sharply without explanation, it’s often a sign that the device isn’t working properly and is compensating by running longer and working harder. If you have it inspected and repaired early, you can avoid larger, more expensive repairs in the future. Whether you have any of the problems listed above or you simply aren’t sure whether your ductless system is running as it should, call Astro Air Inc. today. Our technicians offer the expertise and technology needed to make quick ductless mini split repairs and get your system back online fast. Regardless of the type of problem you’re experiencing with your ductless system, if you live in the West Palm Beach area, call us right away for quick and professional service. If you recently had a new ductless mini split system installed or you’re consider having one installed, you are probably interested in learning these systems have to offer. This is more than just another form of cooling – it is a revolutionary way to reduce energy use and stay cool without relying on underpowered window air conditioning units. But, there are a few things you should know to help you keep your system operational for years to come. One of the many benefits of mini–split systems is that they can also be used to heat your home. While the primary application is cooling (as most homes without ductwork already have boilers), adding a heat pump allows for winter time heating as well. This lets you reduce the space used by your heating system as well and minimize maintenance needs many times over. If you are interested in heating with mini–splits, make sure you discuss your requirements with a contractor. While cooling is often a room by room operation, heating has a number of other factors to consider.